Based in Kerry, Ireland, Bewick enjoys international acclaim for her unique style and vibrant work. Attracting record attendances to all her exhibitions, including the retrospective Two Years to Fifty Years, first shown in the Guinness Hopstore in 1986, subsequently travelling to the museums of Ireland. Also the hugely successful Yellow Man, "Bewick's ideal being" held at the Royal Hibernian Academy Dublin (1996). Bewick continues to be prolific in the third millenium and there have been many publications to date both by her and about her. 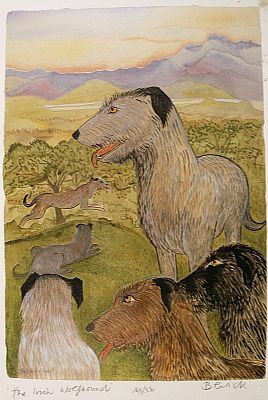 Pauline Bewick is one of the leading contemporary artists in Ireland.